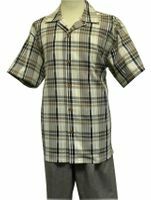 When the Warm Weather Hits, you're going to need the right mens casual dress clothes that are all about style and fashion and the temperature is simply no reason to let your appearance slip. A Double Breasted Suit is just not the thing you want to wear when it's hot outside. 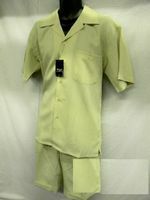 It's Time for Mens Fashion Short Sets with a color coordinated Kangol Hat. 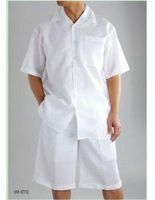 Contemposuits.com is the place to find mens fashion minded casual dress clothes like Fashionable men's casual short sets. 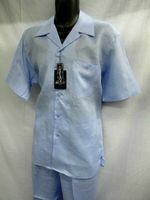 We have men's casual fashion short sets in a variety of styles and fabrics like linen and poly/rayon. 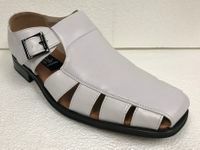 Every Man of Style and fashion Needs a Few Fashionable Short Sets and Stacy Adams Shoes to Keep Their Fashion Image Up. Whether you're on Vacation in the tropics or on the beach. Maybe you're just want to look your very best when it's hot outside. 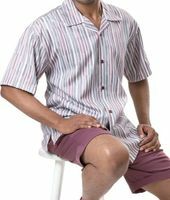 A Fashionable Short Set for Men is the way to go and ContempoSuits.com is the place to shop online for short sets. Now if it's a Zoot Suit you need, that's whole different story. Get colorful with a smooth Royal Blue Suit.